"...here are simply too many good things still to come..."
The 2015 Anderson Valley chardonnay from Rhys Vineyards is nicely cool in this vintage, coming in at a svelte 12.5 percent octane and offering up a really vibrant bouquet of apple, pear, fine soil tones, gently musky floral tones, a touch of fresh nutmeg and a discreet base of vanillin oak. On the palate the wine is medium-full, crisp and very transparent, with lovely focus and grip, bright acids and excellent length and grip on the poised and complex finish. This is very tasty out of the blocks, but has the requisite balance to age long and gracefully as well. 2017-2030+. 92. As readers may recall, this is only the second bottling of Bearwallow Chardonnay ever produced at Rhys Vineyards, as the vineyard team here only planted chardonnay in 2009 and 2014 was the first vintage where the vines were deemed old enough to stand on their own. The 2015 version is an outstanding follow-up to the inaugural vintage, coming in at a svelte 12.6 percent alcohol and delivering a superb bouquet of pear, delicious apple, a touch of acacia blossom, a fine base of soil, a whisper of leesiness and a very discreet framing of vanillin oak. On the palate the wine is crisp, medium-full and intensely flavored, with lovely cut and grip, nascent complexity, fine focus and a long, zesty and nicely structured finish. This is still a puppy and will age very well indeed, but it is also very easy to drink right out of the blocks. Fine juice, with outstanding backend energy. 2017-2035. 94. The 2015 Alpine Vineyard chardonnay from Kevin Harvey and his very talented team at Rhys is a beautiful young wine, beautifully managing its thirteen percent octane to retain boatloads of precision and vibrancy on both the nose and palate. The bouquet wafts from the glass in a nascently complex mélange of pear, just a touch of nectarine, complex soil tones, apple blossoms and a whisper of vanillin oak. On the palate the wine is deep, pure and full-bodied, with bright acids, laser-like focus, a lovely core and outstanding length and grip on the still quite youthful finish. This is all too easy to drink out of the blocks, but it is still a puppy and I would not touch a bottle (if I could help it!) until the wine has had at least three or four years in the cellar, as there are simply too many good things still to come here to be leading bottles to slaughter before the wine has really had a chance to blossom! 2020-2040. 94. Rhys Vineyards’ 2015 Pinot Noir “Anderson Valley” bottling is really lovely and will drink with plenty of style right out of the blocks. The deep and classy nose wafts from the glass in a mix of black cherries, a touch of plum, dark chocolate, a fine base of soil, woodsmoke, a dollop of chicory, a touch of exotic botanicals and a really suave framing of new oak. On the palate the wine is pure, full-bodied and focused, with a nice sappiness at the core, a fine soil signature, suave tannins and a long, tangy and nascently complex finish. This has the balance to age very nicely, but it is so good to drink out of the blocks that it is going to be very hard keeping one’s hands off of bottles! 2017-2035+. 92. The 2015 pinot noir from the Bearwallow Vineyard is a lovely wine in the making, with its octane just a touch lower than the two single vineyard bottlings from San Mateo, as this wine tips the scales at 13.6 percent. The bouquet delivers a fine, youthful constellation of dark berries, black plums, balsamic tones, a solid base of soil, lovely spices and a bit of cedary oak. On the palate the wine is full-bodied, ripe and nicely transparent, with a good core, ripe, gently chewy tannins, fine focus and grip and a long, nascently complex finish. This will be a very good bottle once it has some time in the cellar to blossom. 2022-2055. 92+. The portion of very densely-planted vines in Bearwallow that make up the Porcupine Hill bottling seem to have weathered the vintage very well, as there is an excellent sense of detail and future complexity presented here on both the nose and palate. Like the regular Bearwallow pinot, this is 13.6 percent octane and delivers a fine, youthful nose of sappy blackberries, black cherries, espresso, a refined signature of dark soil tones, cola, singed earth and a touch of new wood. On the palate the wine is pure, full-bodied and utterly seamless, with a superb core of fruit, fine-grained tannins and excellent length and grip on the very well-balanced finish. This is more polished structurally than any of the other single vineyard pinots up to this point in the lineup. 2022-2060. 94. The 2015 San Mateo Pinot Noir from Rhys Vineyards is nicely ripe, coming in at 13.5 percent octane and offering up a bright and generous bouquet of red and black cherries, cola, fresh herb tones, a good base of dark soil nuances and a very discreet touch of new wood. On the palate the wine is pure, full-bodied and velvety on the attack, with a plush core of fruit, modest tannins and a long, nascently complex and beautifully balanced finish. This will age very nicely, and grow in complexity with bottle age, but it seems crafted for earlier appeal and is already simply delicious to drink today. 2017-2037+. 92. The 2015 Family Farm Vineyard bottling of pinot noir from Rhys is pretty ripe for this cuvée, coming in at 13.8 percent octane in this very short crop vintage. The wine offers up a complex and black fruity bouquet of sweet dark berries, gentle balsamic tones, charred wood, dark soil tones, cola, a nice touch of spice and cedar. On the palate the wine is deep, ripe and full-bodied, with good acids and focus, a fine core, nice soil signature, moderate tannins and a long, complex and gently warm finish. This wine handles its octane very well indeed, but one can sense that it is a bit higher than customary in this vintage. 2022-2050. 91. The Home Vineyard 2015 pinot noir comes in at the same stated octane level of 13.8 percent as the Family Farm bottling, but for some reason I have the sense that this wine carries its ripeness a bit better and I do not get the same sense of backend warmth here as I did in the preceding wine. The bouquet is again quite black fruity, but precise and nascently complex, wafting from the glass in a fine blend of cassis, dark berries, a fine base of dark soil, a touch of gamebird, woodsmoke, espresso and a bit of new wood. On the palate the wine is deep, pure and full-bodied, with fine focus and grip, a potentially plush core of black fruit, fine soil signature and a fair bit of well-integrated tannin perking up the long and ripe finish. This will need longer in the cellar to blossom than the Family Farm bottling, but should be very good when it is fully ready to dink. 2025-2055. 92. 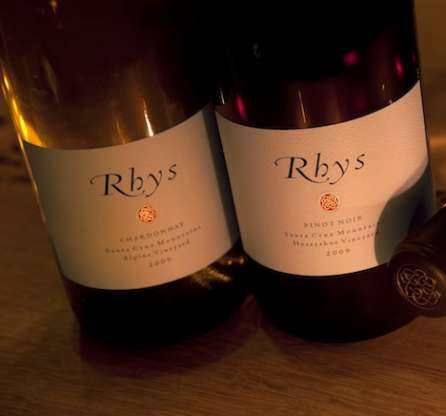 The 2015 Alpine Vineyard pinot noir from Kevin Harvey and his talented team at Rhys is an outstanding young wine, offering up perfect ripeness at thirteen percent, without any diminution in the expression of this vineyard’s outstanding terroir. The bouquet jumps from the glass in a youthful blend of sweet dark berries, espresso, complex minerality, a touch of stems, woodsmoke, pepper, incipient balsamic tones and a touch of cedary oak. On the palate the wine is pure, full-bodied and exceptionally well-balanced, with a superb core of fruit, ripe, seamless tannins, good acids and lovely transparency on the very, very long, nascently complex finish. This will be a superb bottle, once it has had a full decade in the cellar, and probably is the only 2015 Rhys pinot noir bottling that will be able to keep the pace set by the brilliant pinots made here in 2013 and 2014! 2025-2065. 94+. What a difference location makes! The 2015 pinot noir from Horseshoe Vineyard is a cool and buttoned up 12.7 percent octane and is far removed stylistically from the single vineyard bottlings from San Mateo County in this vintage. The wine is still quite reticent on its youthful nose, offering up scents of black cherries, espresso, a bit of youthful stems, lovely minerality, pepper, chicory and a topnote of fresh thyme. On the palate the wine is fullish, tangy and beautifully balanced, with tangy acids, lovely mineral drive, moderate tannins and a long, primary and very promising finish. This is still a very primary wine and will take several years in the cellar to lose a bit of its youthful herbaceousness, but it will be an excellent middleweight in the fullness of time. 2025-2055. 92+. 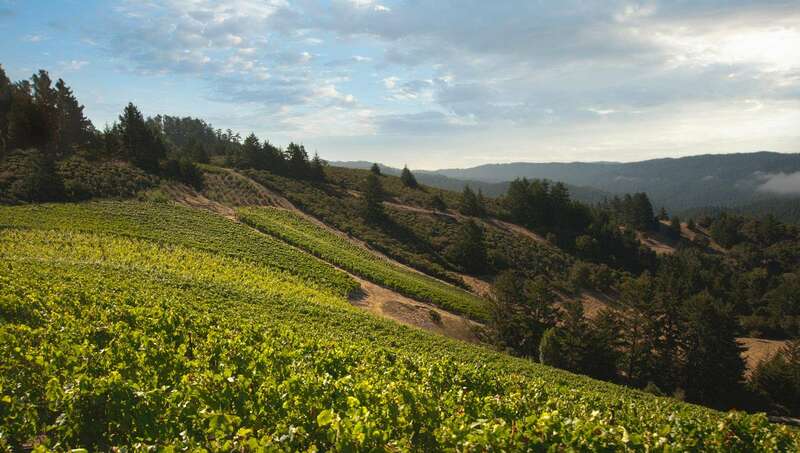 Starting in the 2014 vintage, there is only going to be a Horseshoe Vineyard bottling of syrah from Rhys Vineyards, as Kevin Harvey and his team has decided that their parcel of this variety in their Skyline Vineyard would be better off budded over to pinot noir. It is too bad, as I often had a hard time deciding which of these two beautiful bottlings of syrah I preferred in each vintage. In any case, the 2014 Horseshoe Syrah is another in the long line of stunning Rhys bottlings of this varietal, offering up a pure and nascently complex bouquet of black raspberries, blackberries, a touch of dark chocolate, roasted meats, incipient notes of pepper, beautiful soil tones and a smoky topnote. On the palate the wine is pure, full-bodied and more peppery than the nose suggests, with excellent depth at the core, superb soil signature, ripe, well-integrated tannins, tangy acids and laser-like focus on the very, very long, complex and promising finish. Like an old-fashioned vintage of Chave Hermitage, the 2014 Horseshoe Vineyard Syrah is going to need a solid decade of bottle age before it starts to stir, but it will be an absolutely superb example once it has blossomed! 2025-2065. 94+.